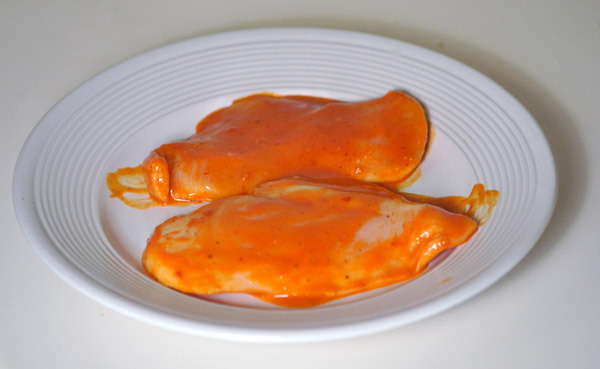 You are viewing the archive for the ‘Wing Time buffalo sauce’ tag. 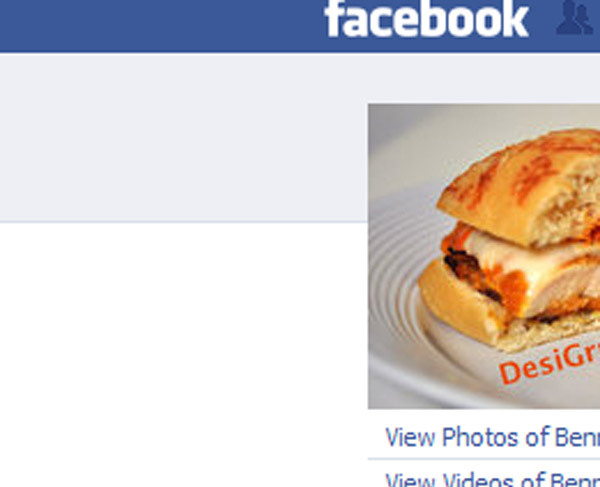 Yes, I barter food for presence on facebook. 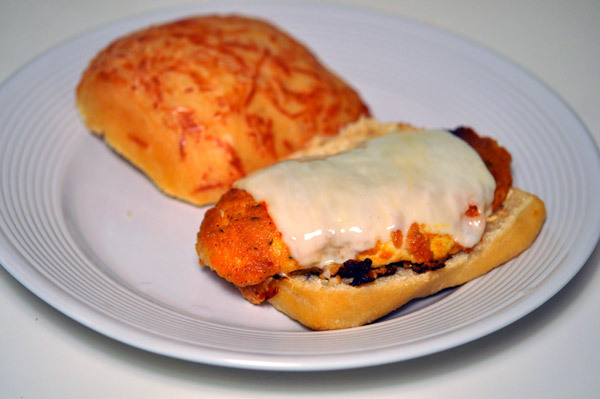 I made a buffalo chicken sandwich for my friend in exchange of him uploading a photo of the buffalo chicken sandwich as his facebook profile photo. As an extra, he threw me a link to http://facebook.com/desigrub . 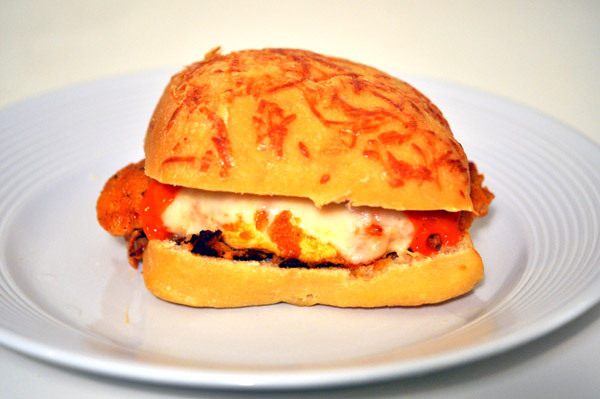 I am glad that he liked the buffalo chicken sandwich. However, I guess it’s mostly due to the fact that he likes any sandwich with a decent buffalo sauce on it. The buffalo chicken sandwich was okay but I wished the breading on the chicken was slightly better. 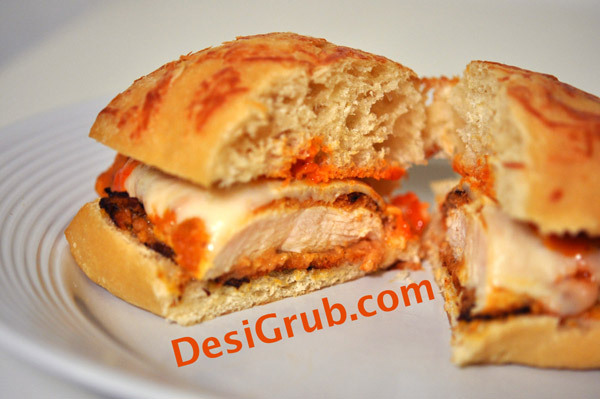 Here’s how I made the buffalo chicken sandwich. I chose a hot variant of Wing Time buffalo wing sauce from the Whole Foods instead of a mild. The hot version was flavorful but tasted more like a mild. 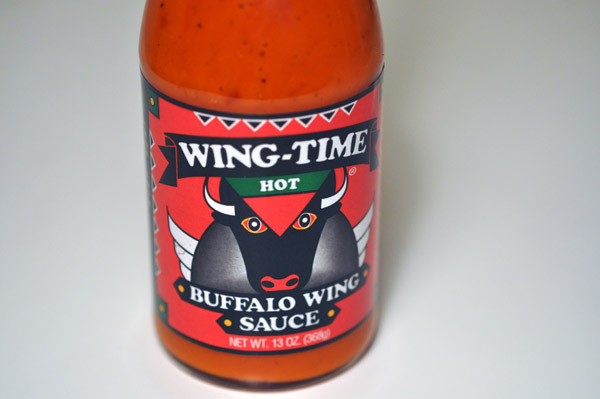 So, I assume, a mild Wing Time buffalo sauce is probably not hot at all. 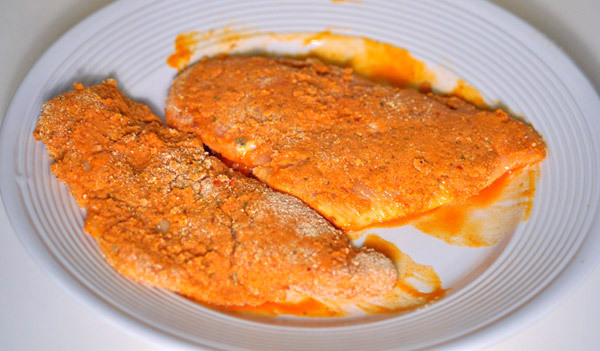 Marinating chicken breast in buffalo hot sauce added minimal buffalo sauce flavor to the final sandwich and complicated the breading step because I couldn’t flour the chicken. 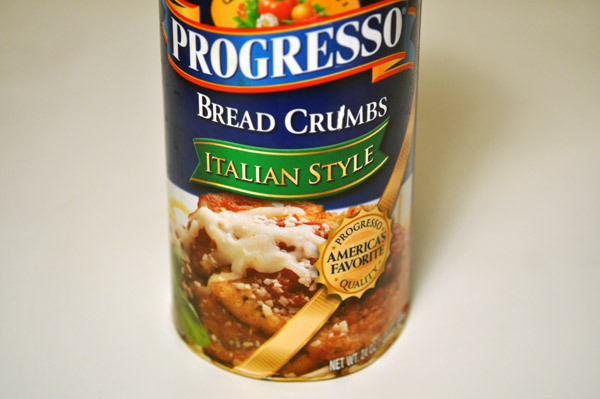 I used seasoned Progresso bread crumbs because they are flavorful and most importantly available in my pantry. 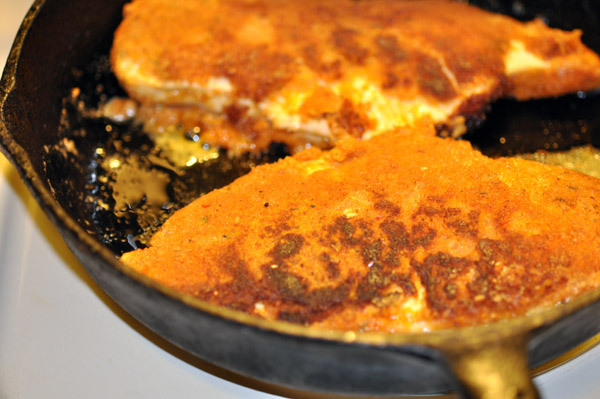 Pan frying in ½ vegetable oil and ½ butter – for flavor. 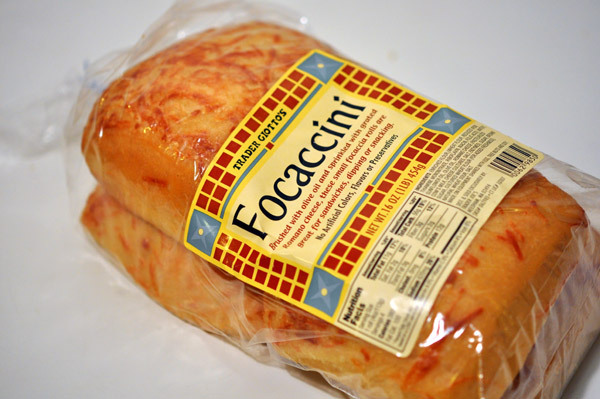 For bread I chose, Trader Joes’ focaccia bread seasoned with grated Romano cheese. I like the taste of it and thought it could provide a good support for buffalo chicken sandwich plastered with buffalo sauce. Let me know if you want to do a similar barter with me. 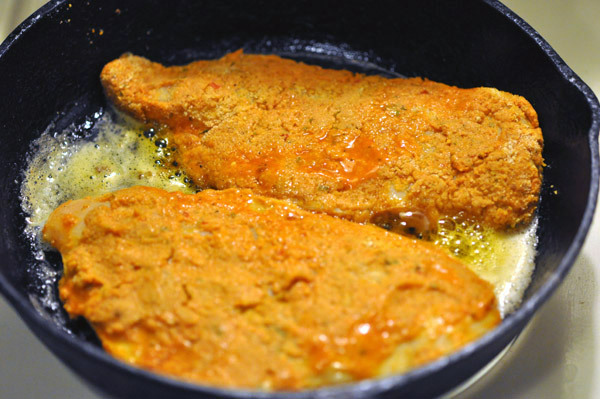 I can try making your favorite lunch or dinner. I am seriously looking for someone to copy edit my post. Anyone interested?